Not too many sleeps to go...! 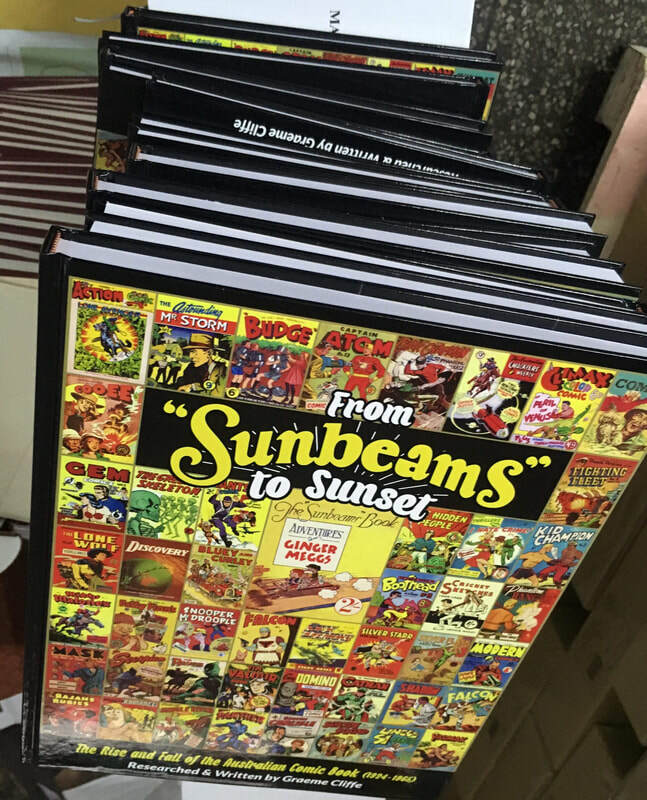 Here are the latest photographs from the printer of Graeme Cliffe's book From 'Sunbeams' to Sunset: The Rise and Fall of the Australian Comic Book. It really can't be too long until I announce that the shipment has arrived (these picture show the drying process following the print job). Remember, you are going to read about it here, on this web-site FIRST! In the meantime, with more good news, my internet is now working! (Hoo-RAY!) This means anyone who has emailed me in the past month (plus a few days) will be hearing from me ... as soon as I can. I see I have about 2000 unanswered/unopened emails to date, so as you can imagine, this will take a little time to get through ....! Other potentially good news: While at Supanova (on the Gold Coast) I was given a lead on a book distributor that I soon plan to follow up on. The fact they are local (that is, in the south-east corner of Queensland) would just be an added bonus! I'll keep you in the loop to see if they would be willing to carry one (or many!) of Comicoz' books, if you promise to keep your fingers crossed for me....! Sadly, lately I have to report that I have been having a lot of difficulties with my internet provider (who blames the NBN) and my NBN (who blames my internet provider). This means, in essence, I have no internet, no Facebook presence and no ability to use Messenger! 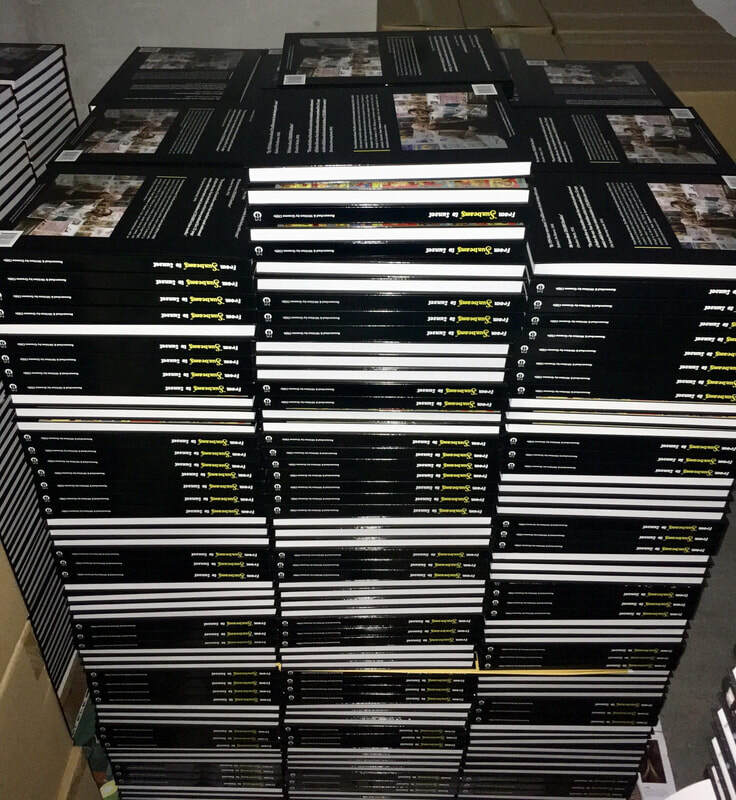 This also means, I have not been able to prepare the 'From SUNBEAMS' book for an upcoming Kickstarter project as I had hoped. Yes, like the 'good old days' before computers -- I don't think! I am only managing to do this posting due to the generosity of mates Barney and Gordon (thanks, blokes)! I appeared at the Melbourne Supanova Comic and Popular Culture show last Sunday, and I plan to be at the Gold Coast's event this coming weekend... with a proof copy of the book! And comic events do not stop simply because my computer doesn't work! 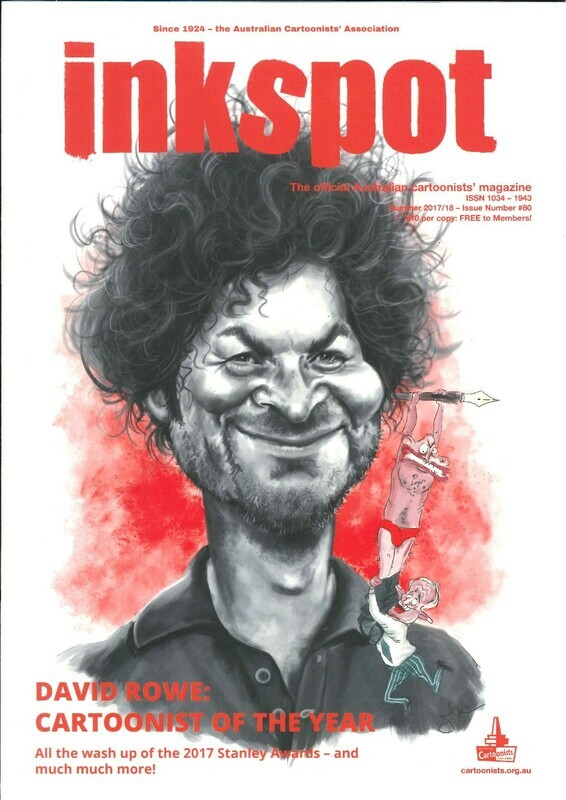 The Ledger Awards, celebrating 'excellence in Australian comic art and publishing', takes place in Sydney later this month on 26 April, at the State Library of New South Wales. Why not come along and celebrate all that is great in Australian comics? It's a free event! And look who's on the Short List! Here are all the details: http://ledgerawards.org/ I hope to see you there! If I am really honest about these days, knowing I am going to be hitting 62 years of age this year, I find I am increasingly finding difficulty in finding the time to do the things I love or the things I'd love to do. Even though I have cut down my hours to four days a week, work seems to get in the way of everything -- yet, without work, I can't afford to do those things I love (or love to do)! What's the answer? I don't know … and I won't have time to contemplate it today … I have to work tonight …!! What that means, of course, is that the proof has arrived, all the (further) corrections have been made, and the book is going to the printer this afternoon. Happy 60th Birthday, Mr Squiggle! Everyone who buys a hardcover book with dust-jacket from Comicoz will know that underneath the dust-jacket is a different picture to the one on the cover. The book 'From SUNBEAMS' is no different. Here's the image under the dust-jacket. Today, the corrections are completed, the author, designer and publisher are all happy....and the files have gone to the printer! How good is that news? "In my …. years of involvement in the Australian comics scene, I have never seen such an exciting and productive time as now. Quality and quantity are at their highest levels and I believe we're truly in a new golden age for home-grown comics. They deserve wider recognition, celebration and promotion." Can there be no greater recognition than to win the Platinum Ledger Award? 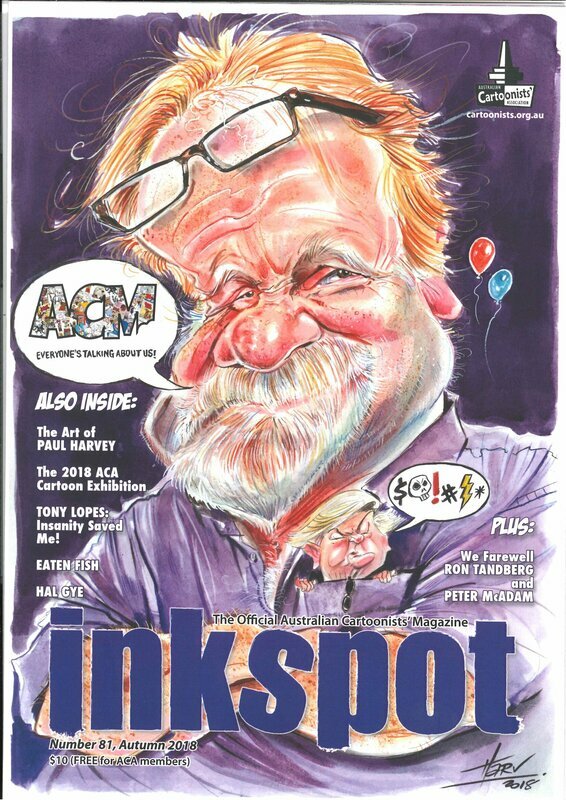 For an individual (or organisation) to be recognised for one's contribution to the Australian comics making community by selflessly helping to further the art form and advance its creators, there can be no greater thrill. Here's a wonderful shot of Tim winning last year's award, as presented to him by his wonderful children, Samuel and Annabelle. Tim McEwen has most kindly allowed me to repeat (and acknowledge) his passionate words, which I erroneously thought had been uttered by him last year. They were, in fact the descriptors he used when the Ledger Awards were re-launched five years ago. Yet, I believe they also sum up where the industry presently stands in 2018. With so many local comics being made, how does one try to establish which is the very Best? Skies of Fire, written by Vincenzo Ferriero and Ray Chou, and illustrated by Pablo Peppino and Bryan Valenza, is a comic book series, with issues one to four collected in book form last year. I planned on taking a leaf out of the Ledgers Award, and look for some Australian aspect to the book....and there is: Nic J Shaw lettering! Does this make the book Australian? Internet-based comics are not new. But they are becoming an increasingly part of the local comic landscape. I personally have great difficulty in locating them: I don't know where to look, I don't know how to hear about them. But when I find them, I find myself as engrossed in some of them as I do a physical comic. This year's Comicoz Best Original Australian Comic goes to a web-comic.... A Week in Warrigilla by "Teloka". How many Australian creators are drawing -- and then publishing -- on a regular basis? 'Teloka' began this web-comic (click here for the link) on March 12 2018, and has been working on the story-lines (two to date) for the whole year, at a rate of over a page a week. The first story ran for fifty episodes and completed in July, and even though the creator/s took a break in between the two stories, the second began in early October and is presently 39 Chapters into this adventure. That's 89 episodes in under a year: outstanding work! The Year 2018 in Review: a Personal Reflection. This posting is over a week later than when I normally summarise the year just past. (That in itself encapsulates my year: I have been so frantically busy creatively, most times I have not had the time to update this blog as often as I wished I could have.) My apologies. From a personal perspective, even the time seems to have slipped by somehow, with little opportunity to reflect on where I have been and where I’d like to think 2019 is headed. Part of the reason has been holidays taken later in the year (something I tend to avoid altogether! ), visiting loved ones in Yass, Canberra, Bendigo, Cairns and Gympie (in that order) … even before my end-of-year birthday! And no sooner had birthday celebrations taken place, then our home was filled with family members unexpectedly visiting us! From a comic book perspective, I seem to have purchased more comics than I have done in recent memory. I have tended to buy fewer Marvel and DC titles, mainly because, for the main, I have found the stories somewhat formulised. The common denominator appears to be the striving for as many sales as possible, with innumerable variant covers artificially boosting sales on select titles, and a fan base that is prepared to accept this nonsense. As a result, my purchases have been more along the lines of independent releases and in the form of graphic novels. Many of the purchases have been less from retail outlets and more from on-line social media opportunities. Australian comic buys have been opportunistic but no less thrilling. 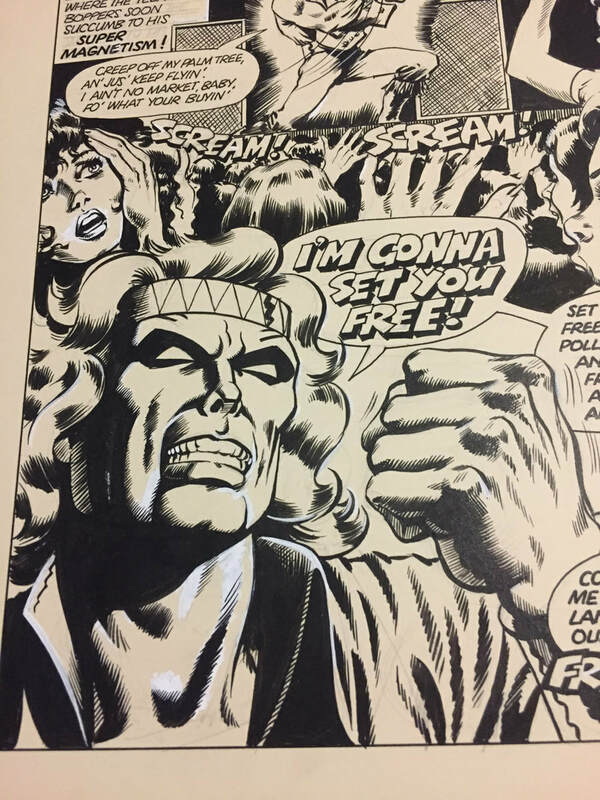 By far the biggest excitement was the acquiring of most of the original artwork to Iron Outlaw, an Australian comic series that ran in the early 1970s. Such was the state of my busy-ness throughout the year, I don’t think I even had the chance of sharing the find on this Comicoz blog! How did I obtain it? Someone in Melbourne alerted me to the fact that the works were sitting in an Opportunity Shop, and would I be interested in it …??! Most of my spare time has been working on my publishing and editing, with little time or opportunity to attend the many fairs or comic conventions as I would have liked. However, with new books out (or soon due out), 2019 should be a year of travelling this country to sell these Comicoz wares. I hope I can catch up with YOU somewhere along the traps! Also in between the holiday break, as Lead Judge I also oversaw the judging of the Ledger of Honour Award. This is such an honour, and now the second (or is it third?) year I have been given this responsibility. 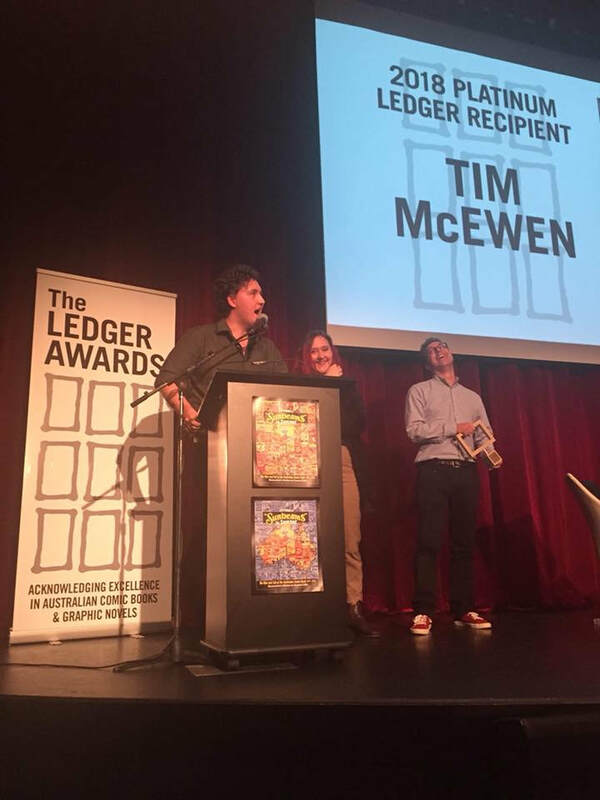 Given my passion for Australian comics, I suppose I have a closer link to the Ledgers, so I am thrilled to be a part of these fledgling Awards (now only in their fifth year). As Lead Judge, I am bound by oath not to reveal the winners … just yet … so keep your ears posted to the ground. Click here for the link:http://ledgerawards.org/ Two books I published last year (Bold Ben Hall, An Authentic Biography Narrated and Illustrated by Monty Wedd and Truth, Justice and the American Dream: The Men Behind Superman by Thomas Campi and Julian Voloj) are in the final long list of nominees for the Ledger Awards, with a Short List of Nominees to be announced sometime soon.... The ceremony itself will be held on the Friday of the Anzac Day long weekend, at a Sydney venue. 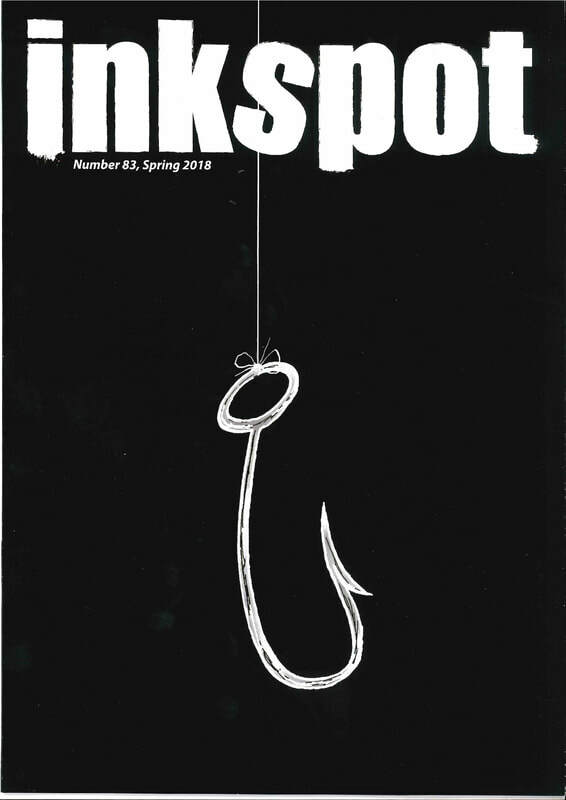 Exciting projects for the future: working in collaboration with the Reverend Michael Mercier and the National Cartoon Gallery (the Bunker) to produce a book of Michael's dad, Emile Mercier's cartoons. The groundwork for this was laid in the past two years, when I assisted in the negotiations between Michael and the Bunker. Another project I began consulting on -- a non-comic one, believe it or not! -- is a book on the 40th anniversary of the Ipswich branch of Zonta. These are some of the ups for the year ahead. And the downs from last year? 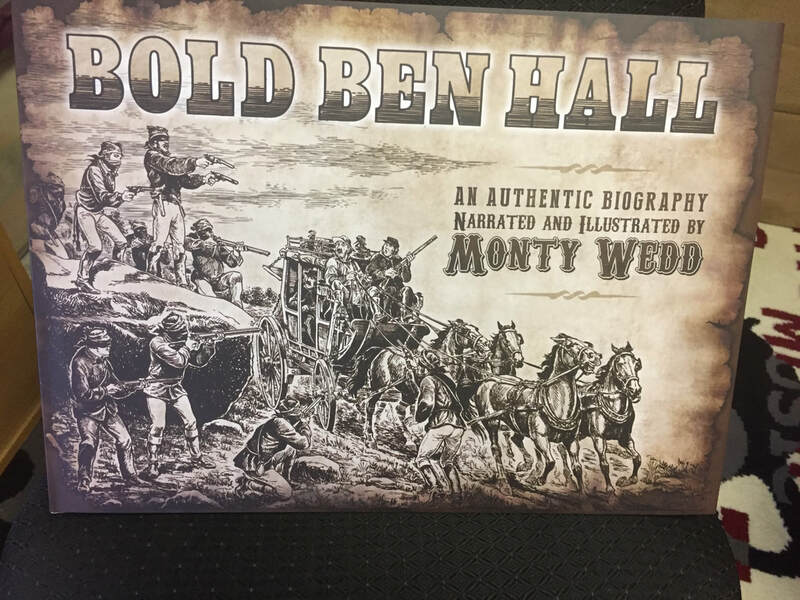 Above, Bold Ben Hall by Monty Wedd. And to the right is the Thomas Campi (artist) and Julian Voloj (writer) collaboration, Truth, Justice and the American Dream: The Men Behind Superman. In 1954, Australia’s population stood at less than nine million. In the same year, Australian entrepreneurs published more than seventy million comic books; equating to more than seven comics for every man, woman and child in the country. Not only had Australia built up and established a thriving comic book industry, Australians read and loved their comic books. While comic strips were mainly being read for entertainment, they had also been used to promote commercial products, to sway a Federal election campaign, to influence voters on a referendum, and as regular inclusions in many of the country’s magazines and newspapers. In 1954, the comics reached a pinnacle of success in Australia that has never been exceeded. Although the comics were extraordinarily popular, most of the comic books published in Australia in 1954 were devoted to reprinting comic strips which had previously been published in the United States of America. 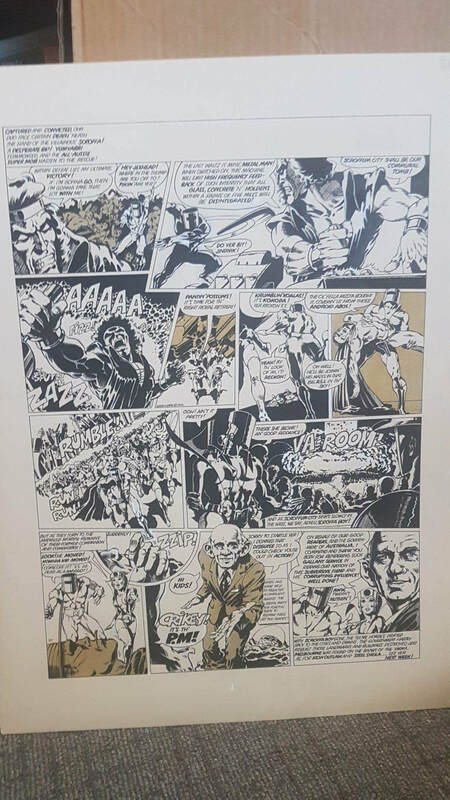 Licensing arrangements which had been made with the comics’ U.S. copyright owners allowed locally produced reprints to be sourced at a fraction of the cost of generating a similar product in Australia. Accordingly, a holistic approach to the era’s local comic books would result in a history firmly grounded on American comic books and American syndicated newspaper strips. Such is not the intent of From “Sunbeams” to Sunset. The intent of this history is to chronicle the locally created elements in Australia’s first comic book industry. 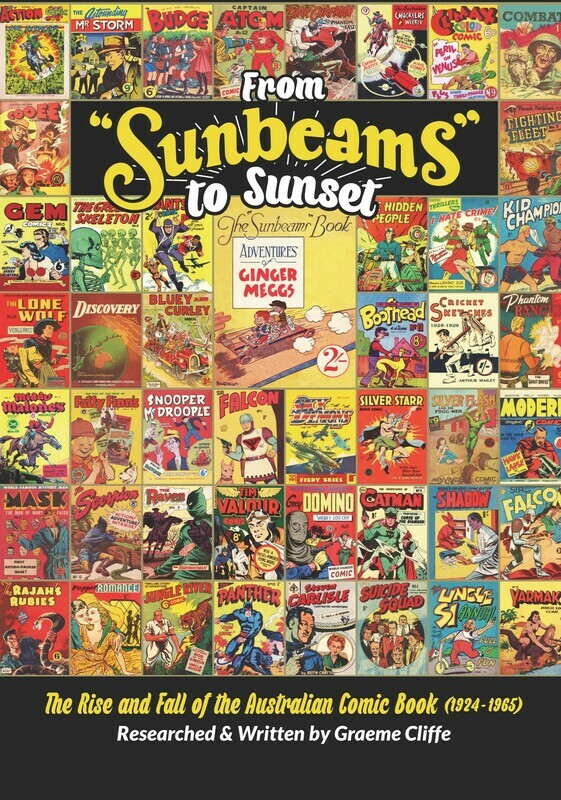 The first such comic book was published in 1924 as The "Sunbeams" Book. The Book was subtitled “Adventures of Ginger Meggs”, and it reprinted humorous comic strips which had previously appeared in a Sydney newspaper. Sunbeams went on to be an enduring success, and it was followed by further book compilations sourced from local newspapers. World War II saw a fledgling industry flowering, taking advantage of the lack of overseas competition. The arrival of television in Australia created a serious dent in comic book sales. By 1965 locally created comic books were practically non-existent, with the few surviving titles often reduced to reprinting previously published work. Australia’s comic book publishers created a viable industry over a span of more than forty years. Ultimately, the locally created product faded and died in the face of a range of other entertainment alternatives. Although the era has long passed, the flowering of the locally created comic industry and its subsequent withering does not deserve to be forgotten. The “Sunbeams” Book was an unequivocally Australian publication. However, tracing the history of the locally created comic books which followed it is no simple matter, and the complications are numerous. Most of the local comics of the era did not include a date, and many failed to include a creator’s credit or a copyright notice. A very substantial proportion of the local comic books had covers drawn (or re-drawn) by Australian artists, but in most such instances the comic’s content was reprinted overseas comic strips. Accordingly, the nationality of a comic’s cover artist is not an appropriate measure as to whether a comic book is locally created. What distinguishes an Australian comic book as being locally created? 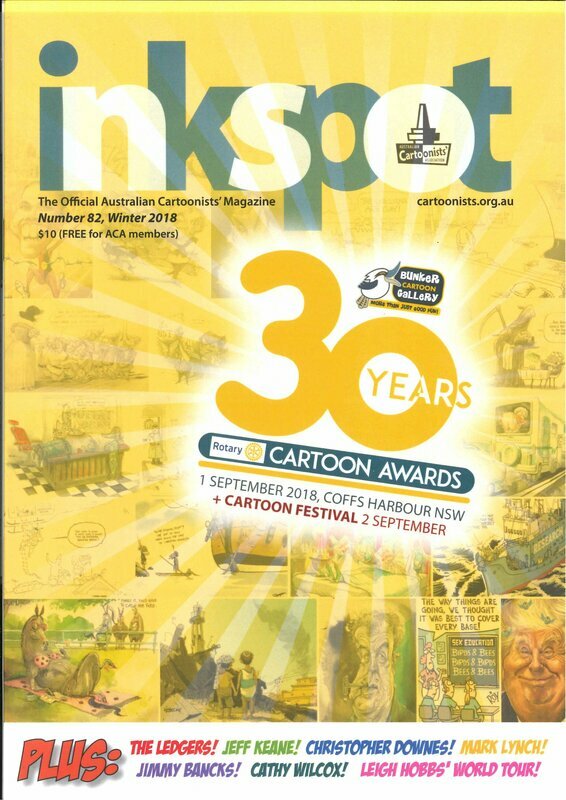 For the purposes of this history, a locally created comic is a comic book printed and distributed to the newsstands and/or bookshops of Australia, or disseminated for promotional purposes, and which includes one or more comic strips drawn by an artist residing in Australia at the time of its publication. In addition, the definition also includes comic books published in Australia which include strips making their first appearance in the English language. Examples of artists residing in Australia who drew locally created comics include Eric Jolliffe and Yaroslav Horak. Although not born in Australia, both artists drew comic strips for the local industry in the 1940s and 1950s. Jolliffe went on to self publish the multi million-selling Jolliffe’s Outback magazine, while Horak went on to establish an international profile as the premier illustrator of the British “James Bond” syndicated newspaper strip. 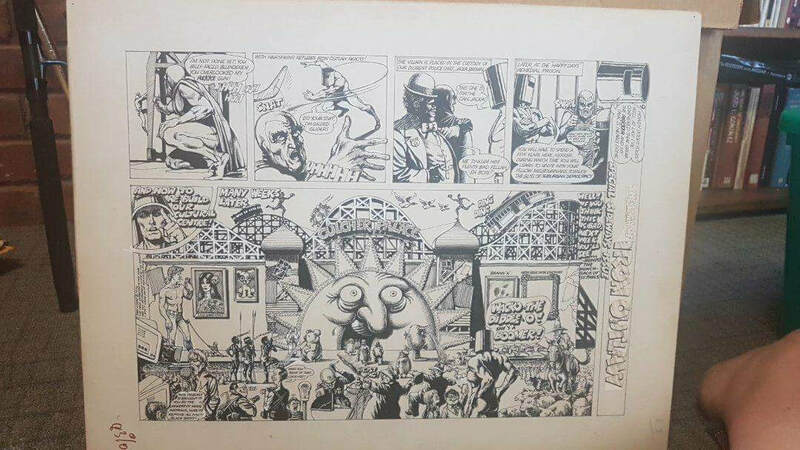 The main focus of this history is the locally created original comic books: books which feature comic strips drawn specifically for comic book publication. Examples of such titles include The Phantom Ranger (Frew Publications), The Lone Avenger (H John Edwards Publishing) and Kokey Koala (Elmsdale Publications). In this text, such newsstand titles are included in the chapters headed “Titles Created Locally for Comic Book Publication”. Further instances of locally created comic books are the compilations which reprinted previously published Australian comic strips, sourced from local periodicals. Examples include Ginger Meggs, Bluey and Curley and Wally and the Major. In this text, such titles are included in the chapters headed “Locally Created Titles Which Sourced Australian Periodicals”. Given the importance of the local newspapers and magazines to the comic book industry (and particularly to its artists), this history makes extensive reference to Australia’s periodicals. To a much lesser extent, this history also makes reference to regularly appearing illustrated features which were published in those periodicals. Australia’s publishers sometimes included locally created comic strips in books clearly focused on reprinting overseas material. Such strips were used as back-up material. Examples of such titles include the K G Murray Publishing Company’s Superman and Batman. Many of these titles are identified in the chapters which are titled “Comics Based on Overseas Strips, which included Local Content”. Also included in these chapters are comic books which included new, locally created strips authorised by overseas franchisers. Examples include Flynn of the FBI and Sergeant Pat of the Radio Patrol. 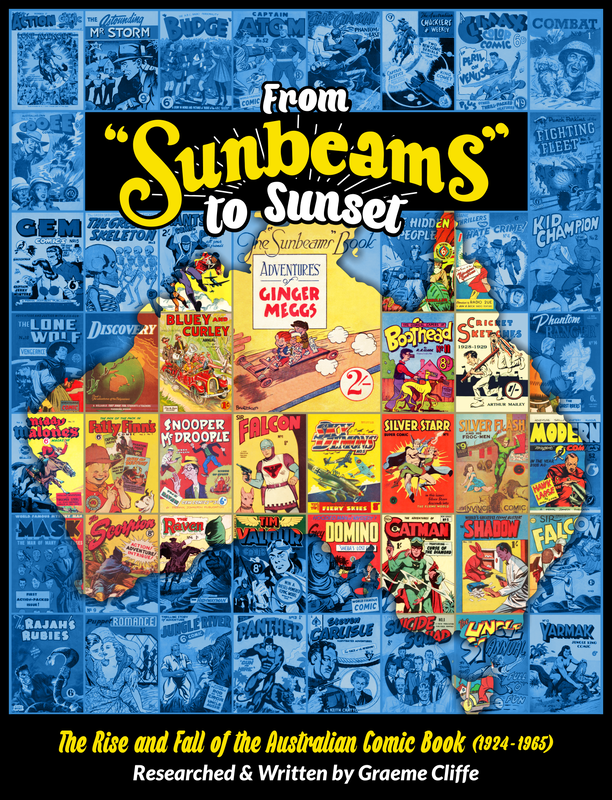 From “Sunbeams” to Sunset also includes a chapter dealing with the locally created comic books which were not treated to newsstand or bookshop distribution. Such comics were produced for promotional purposes, and most were simply given away. Examples include The Road Ahead, The Road Back and The Way Ahead, three comic books printed in 1949 in the hope of swaying voters in that year’s Federal elections. The author has also noted various overseas appearances of Australia’s locally created comic strips. Such comics include titles where a separate, identifiable print run of a title was created concurrently for overseas distribution; strips which were reprinted in foreign countries, and locally created titles which were franchised to the point of allowing new stories to be created overseas. Examples of overseas appearances include “Aguia Negra”, which was published in Brazil and went on to both reprint and create new stories featuring Australia’s Sir Falcon. Australian comic publishers often gave minimal information about their product’s details: some even failed to identify a publisher. Very few carried information in the form of indicia, copyright notices which state the official name of a comic, its issue number, the name of its publisher, and its newsstand date. The lack of indicia in most Australian comic books leaves a comic book's cover price as often the only guide to its date of publication. Most comics published before 1951 sold for six pence or less. A transition then occurred in prices over the ensuing five years. Post-1951, prices rose through eight pence and nine pence, with rising costs being passed on to the reading public. By 1957, all newsstand comic books were retailing at a shilling (twelve pence) or more. In February 1966 Australia adopted decimal currency, and pounds, shillings and pence were replaced by dollars and cents. Accordingly, it is usually obvious from a comic's cover price whether it was published before or after 1965. The lack of significant, reliable data makes it difficult to accurately date most Australian comics. A seemingly minor statistic like cover price becomes an important dating tool. As some locally created titles were the subject of more than one series of comics, often the only way to distinguish between duplicated issue numbers is that a later series will have a higher cover price. Accordingly, the cover price of a comic book is often referenced in this history. Why a New History of Locally Created Comics? There was little contemporary material written on comic books during most of the era of Australian comic books. An exception was the post World War II period, when the availability (and perceived low standard) of cheap ephemera provoked public outcries demanding censorship by the authorities. Following the era, the lack of research into Australia’s comic books may safely be attributed to a drastic lack of the primary reference source: the comic books. Notwithstanding the provisions of Australia’s copyright legislation (which required publishers to deposit “within one month … a copy of the book”), most comic book publishers of the era chose to not regard their comics as books. Accordingly, the legal repository requirement was largely ignored by the publishers. It is possible that the omission could have been repaired by Australia’s various state and national libraries, should they have elected to take action. No such action was taken. The era regarded comic books as ephemera, and the libraries missed the chance to preserve the comics at the time when they were most readily available. Subsequent attempts by Australian libraries to acquire representative examples have met with mixed success, and have been hampered by difficulties in cataloguing. The first attempt at an authoritative history of Australian comics was published in 1979 under the title “Panel by Panel”. The book appeared in hardcover and was written by comic collector John Ryan. However, Ryan's book had its main focus on the locally created newspaper strips, rather than on the comic books. A further important text was published in 1998 as “Bonzer: Australian Comics 1900s - 1990s”. The book included a ground-breaking checklist compiled by Melbourne collector Mick Stone which identified many of the locally created comic books by title, and also named the books’ main artists. It is the intent of this new history to build on those existing texts, and to provide a comprehensive chronology of the era’s comic books and the people who created them. Accordingly, this book includes biographies of the publishers, writers and artists and references authorities to substantiate its content. Ultimately, the locally created element of the Australian comic book industry faded away in the mid 1960s, hence this book’s 1965 cut-off date. Although the comics are long gone, they will live on in the memories of those who are young in heart.